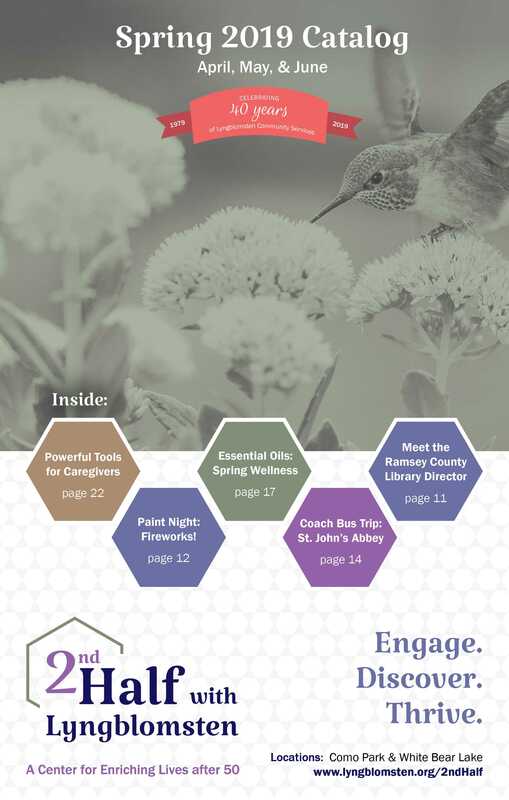 Wednesday, April 24, from 1–2:30 PM : Essential Oils: Spring Wellness is cancelled. Thursday, April 25, from 1–2:30 PM : Armchair Traveler is cancelled. What is 2nd Half with Lyngblomsten? The video below provides an introduction to 2nd Half with Lyngblomsten. Produced in 2016. The video below highlights how organizations in White Bear Lake are preparing to help older adults age well in the community. One organization highlighted is 2nd Half with Lyngblomsten (view 7:30), which has a site location at Redeemer Lutheran Church in White Bear Lake. Produced in 2017.